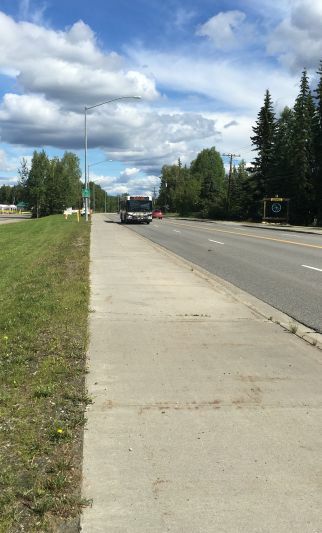 This project will identify, design, and construct up to five bus pull-outs along College Road to improve safety and traffic flow along the College Road corridor by removing stopped busses from the travel lanes. The locations include: Hayes Avenue (westbound), Westwood Way (westbound), Kathryn Avenue (both directions), and Margaret/Antoinette (westbound). The pull-outs at Aurora Drive (both directions) will be closed. Phase 1 – Feasibility. The team will investigate the feasibility of the proposed bus pull-outs as identified in the College Road Corridor Study. The investigation will include analysis of right-of-way constraints, utility conflicts, user needs, and environmental impacts. Stakeholders and the public will be consulted to identify issues and constraints that will guide the preliminary engineering. Phase 2 – Environmental. The environmental process will proceed based on the findings of phase 1. An environmental document at the end of this phase will set the stage for design engineering and final plan sets. Environmental elements that will be evaluated include social/cultural, economic, land use, wetlands, fish/wildlife, hazardous waste, air quality, floodplain, noise, and water quality. Phase 3 – Design. Engineering design will include plans, specifications, and estimates for a bid-ready package.